The New 24-70f2.8 VR had really, really big shoes to fill in the lens it replaced. 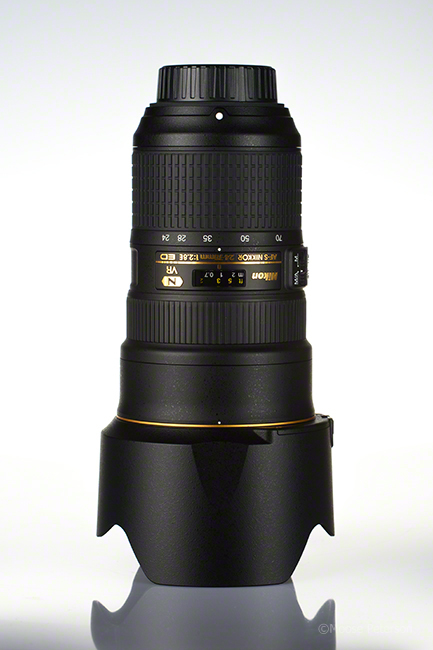 This a really gorgeous lens that has produced gorgeous images for me. I’m one of the ones who replaced the original 24-70f2.8 with the new version. Why? My main reasons for upgrading were the few nuances I feel making it a better lens. It’s sharpness, AF speed, built and better lens shade. Its VR was also a consideration in my air to air work. Some have mentioned that the new lens is heavier and some, not as sharp. When the 24-70f2.8 came out, I remember some moaning it had no VR. Now it does and that VR requires a motor so ah, the lens is going to be heavier. The larger filter size at first was annoying as it required the purchase of an additional polarizer. But the lens brightness coming from it sure is welcomed shooting in low light. As for optical performance, this lens delivers what my clients demand from an image, it delivers what I demand so I can ask no more from a lens. The general purpose I use a lot, this is a marvelous addition to the camera bag.